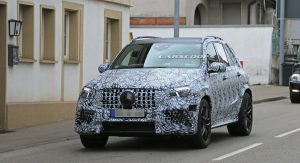 The luxury crossover segment is highly competitive but it feels like the Mercedes GLE and its ML predecessor have been around for an eternity. 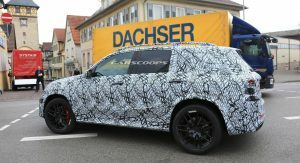 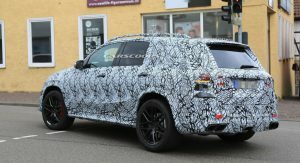 That’s about to change as the company is working on an all-new model and our spy photographers recently snapped photos of the redesigned GLE G3. 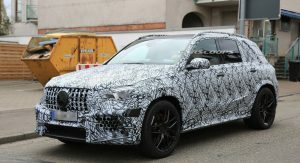 Looking significantly sportier than its slab-sided predecessor, the new Mercedes-AMG GLE 63 has a bold front fascia with a large Panamericana grille which is flanked by big headlights with distinctive LED daytime running lights. 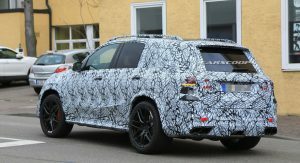 The camouflage hides a lot of styling details but the model also has a sporty front bumper with massive air intakes. 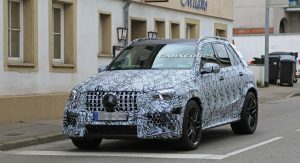 The overall shape remains pretty faithful to the outgoing model but the photos suggest the 2019 GLE has smoother bodywork that likely echoes the GLC. 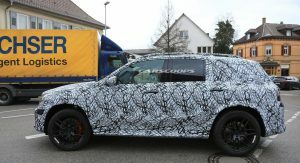 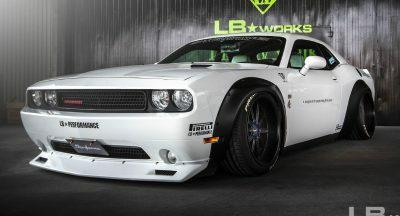 We can also see more rounded mirrors, aerodynamic side skirts and massive wheels which are backed up by a high-performance braking system with red calipers. 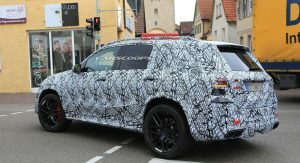 The rounded styling cues continue at the rear as the new GLE appears less squared off than its predecessor. 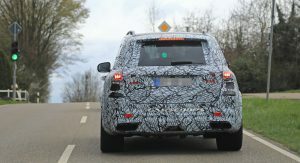 Elsewhere, we can see a four-tailpipe exhaust system and LED taillights. 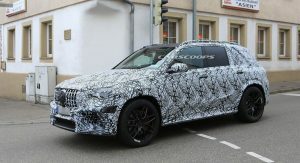 The modern styling will carry over to the cabin as previous spy photos have shown the crossover will have a new steering wheel and a digital instrument cluster which resides next to an infotainment system. 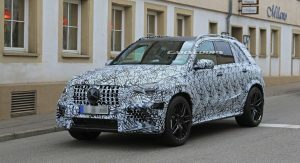 The pictures also suggested there will be four central air vents, modern switchgear and a new center console with grab handles. 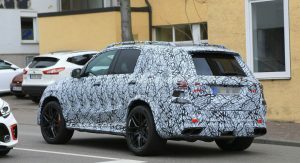 Power is expected to be provided by the twin-turbo 4.0-liter V8 engine that populates most of the AMG lineup. 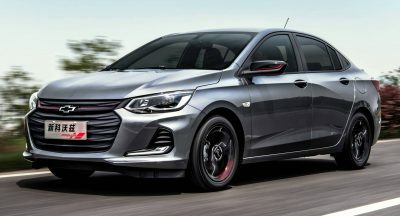 The base model should produce around 571 PS (420 kW) and 750 Nm (553 lb-ft) of torque while the S variant could have 612 PS (450 kW) and 850 Nm (627 lb-ft) of torque.